Back in January, we have announced that in conjunction with the last season of the popular South Korean variety show “Running Man”, the cast including Ji Suk-jin, Kim Jong-kook, Haha, Song Ji-hyo, and Lee Kwang-soo, will be going on their very last tour to meet their fans! The tour include stops at various Asian cities such as Taipei, Macao, Thailand, Singapore, Vietnam, Hong Kong, China, and of course Malaysia too! 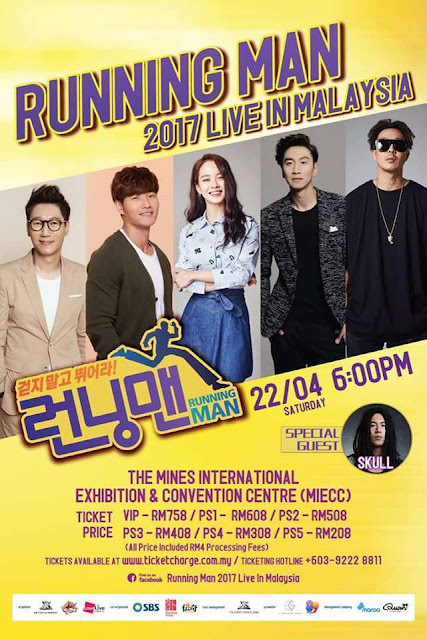 Now it has been confirmed that “Running Man 2017 Live in Malaysia” will take place on 22 April 2017 at The Mines International Exhibition & Convention Centre (MIECC). The last tour will also feature Skull, a South Korean reggae singer who is well known around the world with his song “Love Inside” – as one of the special guest who will be performing alongside the five “Running Man” stars. As a sign of gratitude for the fans’ long-years of love and care, the two-hour concert will have brand new line-ups of performance crafted specially for each Running Man members as they bring their wacky sense of humour on stage! 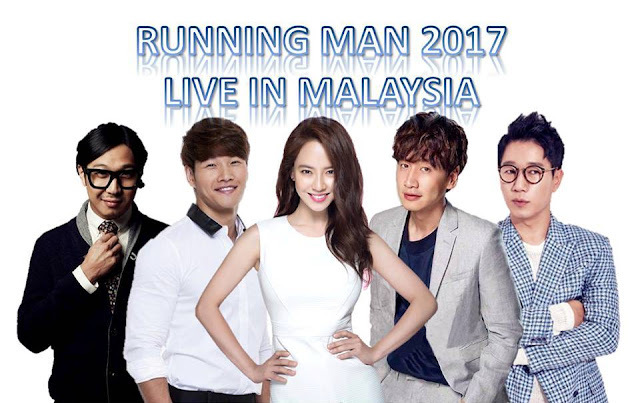 Ticket price for “Running Man 2017 Live in Malaysia” will cost at RM758 (VIP), RM608 (PS1), RM508 (PS2), RM408 (PS3), RM308 (PS4) and RM208 (PS5), and will go on sale on 29 March 2017 at 11am on ticketcharge.com.my.